Is it almost Valentine’s Day already? The red roses, winged cherubs with heart arrows and chocolate candies are overtaking the shelves everywhere and it is time to officially have a freak out over what to buy for the people in your life who love sewing next to their family. 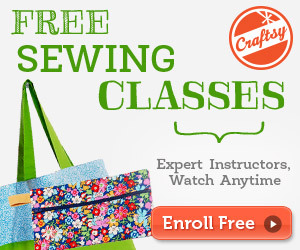 What types of gifts do you get for that special someone who is also a seamstress? Red roses? No, that has been so overdone. Chocolates? Well, that ruins the 2016 resolutions to stay on a diet. How about that brand new $2,000 sewing machine online? Hmm, sounds great but the tax return money probably won’t cover the purchase. Well just in case you want to get a new machine for your Valentine, here is a post I made for the best sewing machines that won’t break the bank. No, you need to find a unique gift. You need that little something that celebrates who the seamstress is and all the great sewing crafts that they have created to beautify the home, have passed out as gifts to the people they love, and have made just for you. Pick out a few of these items and watch the smiles erupt on their faces at what a thoughtful gift you gave them. Also, don’t forget to get a few items for yourself. Just because we like to sew our own clothing doesn’t mean we don’t dig those novelty T-shirts that make us laugh and relax at the same time when in front of the sewing machine. What says sewing more than needles and thread — the two vital things we all need to pursue our craft. This t-shirt is comes in twelve different colors (and we like that you can ask for a custom color from the ones that are listed) as it has a screen print of two gigantic spools of thread and a sewing needle. It is made from 100% cotton with cap sleeves. If you want to tell people how much your loved one enjoys sewing, this is the shirt that will drop them the right hints. Just one slight warning: these shirts run small. Pick a bigger size from the size your normally select for yourself or for the person who is being gifted with this shirt. There is just something so nostalgic with vintage t-shirts. The Commence Sewing Women’s T-Shirt has a wonderful image of a 1950s sewing machine and all the shears, scissors and other accessories needed to make beautiful home decor. This grey melange shirt is made from a cotton/viscose mix with the images screen printed in black as it comes with short sleeves and a scoop neck. The look on this t-shirt is absolutely wonderful as the colors will go with any attire that the seamstress has in her closet. Gray shirt is so versatile and is a classic basic I’m sure your girlfriends will love to have this in their wardrobe. Another vintage favorite sewing machine T-Shirt! This sporty v-neck features the decorative vintage sewing machine that the owner itself drew.The t-shirt has a 1950s sewing machine in a large design on front as it has swirls and decorative touches along the machine that makes it feel like it is one of a kind. It is made from 100% preshrunk combed cotton with a crew V-neck and short sleeves. This is definitely a t-shirt a seamstress wears when heading down to the coffee shop for a refill of their favorite drink before heading back home to spend the afternoon in front of the sewing machine. Every person should have this shirt in their wardrobe. We sure want one! The “I Quilt So I Don’t Snap” t-shirt warns people to not disturb the seamstress when she has her creative juices flowing. Because if she doesn’t quilt, the world might suffer from her fiery wrath! The shirt is made from 100% preshrunk cotton and comes in 9 different colors. Also, the ink used for the printed wording is made from eco-friendly sources so it is safe for the environment. Just the right socks for all the t-shirts that are featured above. Can you imagine a seamstress sporting the Commence Sewing t-shirt, a pair of jeans, and these great socks while working the sewing machine? We can! The Prima Marketing Quilting Girl socks features a playful design of a seamstress sitting in a chair putting on the finishing touches to a star quilt. The socks are made from a polyester/spandex/cotton blend and will fit woman with shoe sizes 5 to 8. Listen to your special someone squeal in joy as she opens the jewelry box and sees the novelty sewing trinket inside. If you have a seamstress that loves jewelry, here are a few gift ideas that may be perfect for her. Notions are a seamstress’s go-to tools of the trade. Let her show the world she is a seamstress by gifting her this Sewing Charms Seamstress Necklace featuring silver plated charms in the design of the notions she needs to make a wide variety of crafts. The charms of a sewing machine, thimble, button, shears and a thread spool are attached to a metal winding measuring tape base. This necklace captures the essence of sewing. This necklace is absolutely beautiful as we can image a seamstress wearing it out on a dinner date with a loved one or going to a theater show. The Singer Sewing Machine and Personalized Initial Charm necklace features the image of a Singer sewing machine in silver plated metal with a personalized initial charm and a glass pearl bead. You can select the color of the bead out of 18 colors available as the necklace also comes with an extension chain. With a small black cocktail dress and this necklace on, your special someone will impress everyone she meets. Wearing a measuring tape for a bracelet? Why not? That is exactly the creative idea crafters would have when re-purposing their old measuring tapes. Well, now you can purchase a handcrafted Measuring Tape Cuff Bracelet with a toggle clasp so it won’t come undone. Each measuring tape length has been upcycled, so it will show some wear as it makes each bracelet one of a kind. It is a very clever way of recycling measuring tapes while showing people there is a seamstress living in the house. Seamstresses make so many home decor items such as drapes, sofa covers, pillows, and quilts. So it is obvious that we would enjoy a wide variety of things to spruce up the room that relates to quilting and sewing. Here are a few gift ideas that would make great Valentine’s Day gifts. Break out the Pinot Noir and throw a seamstress party with these Spools of Thread Wine Glass Charms. These charms are made of bottle caps as they feature a picture of a spool of thread on top. The charms are threaded through a hoop so the charms can hang on the stem of a wine glass. These make great party favors or just adds a splash of decorative color on the table when her sewing circle comes by for a drink and a chat. If wine isn’t her thing, then morning coffee might be just right up her alley. The Ceramic Sewing Machine Mug can hold 11 ounces of coffee, tea, orange juice or her favorite beverage as it has a mint green sewing machine sublimated on the gloss surface. If green isn’t a color she likes, you can select the color that fits perfectly into her personality. They can even add text as you can have a favorite saying, her name or other message on the surface to tell her how much you appreciate her sewing hobby. Oh that Hilarious Aunty Acid can come up with some funny quips that can put a smile on the face even when we are struggling with a tough sewing project. The Aunty Acid Sewing Machine Mug invites the seamstress in your life to drink one more mug of coffee so she can create any craft that is in front of her sewing machine. The mug features the artwork of Aunty Acid and is completely eco-friendly. Stay out of my quilting space! How many times have you heard the special seamstress in your life say this to the kids or the family pets when she wants to get a craft project finished? Well then, mark out her sewing territory with the QUILTER Parking Sign Gag Novelty Gift as it is a wall sign that tells people they will be “threaded” if they decide to park themselves in her quilting space. The sign is 12 inches tall and 8 inches wide as it is made from vinyl so it can be placed indoors or outdoors (will probably last about 4-5 years outside due to the materials). We want this gift! If you gift this to someone on Valentine’s Day, they will probably provide you with free sewing crafts for the rest of your life. The Allen Designs Stitch Sewing Machine Clock is absolutely adorable as it has bold colors, large hand-painted clock hands and a swinging scissors pendulum. It can be hung up in any sewing room so the seamstress can keep track of the time when she gets busy on the sewing machine. It would also be a great clock for young kids who are just beginning to learn about sewing and have started to make their own crafts. If the other wall clock didn’t catch your fancy, or you wanted something a little less flashy for a Valentine’s Day gift, then this clock will inspire a seamstress to keep going even if she messes up a stitch. The Keep Calm and Get The Seam Ripper Wall Clock has an antique look as it comes in three different sizes: 10×10, 13×13 and 15×15. The clock face is open as it is made from aluminum and has quartz movement. It is completely silent, so it won’t be a distraction as she is working on her craft projects. Okay, this isn’t exactly a home decor item. That Purple Thang is a gift that is actually hard to describe. 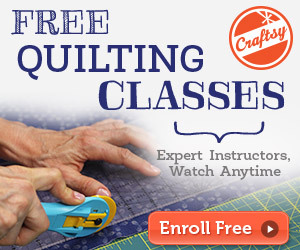 Think of it as a tool that can do everything a seamstress or a quilter could possibly desire. It can turn appliques right side out. The Purple Thang can turn corners for quilts. People can even use it to feed the fabric into the sewing machine for small projects and hold seams flat when they are afraid of stabbing their fingers with the needle. If your child is making stuffed animals or dolls, she can use the Purple Thang to push cotton and stuffing inside the arms, legs and the head. It can even be worn around the neck so it is always handy. You have to buy it to see all the things this gift can do. Valentine’s Day will be here sooner than you think. If you are struggling to figure out what types of gifts to get that special someone in your life who enjoys crafting and sewing, then check out our list of items that is perfect for your budget. Really, skip the roses and the chocolates. Instead, surprise the creative crafters with these sewing-related gifts as they will not only love these special gifts, they will know that you appreciate the sewing and craft items that they have taken the time and energy to create. Your special someone will see how supportive you are for their hobbies, and that has to be the best gift anybody can ever ask for in their life.